What Children’s Entertainment Do We Offer? From balloon dogs to flowers and monkeys to parrots, our balloon modellers will make sure every child takes home their favourite balloon. It’s every child’s dream to be their favourite Princess or Super Hero or to be a whatever animal they like. Our kid-friendly face paint can create magic. We can also provide glitter temporary tattoos on request. Want to run away with the circus? Our circus activities are fun and engaging for all ages, even the adults! Children can learn how to juggle, balance a feather and spin plates as well as much more! Dressing up and getting pictures taken with your freinds when it’s your birthday is fantastic! It’s also a great way to remember your special day. Kidstar Parties provide memorable picture souvenirs of your child’s event. 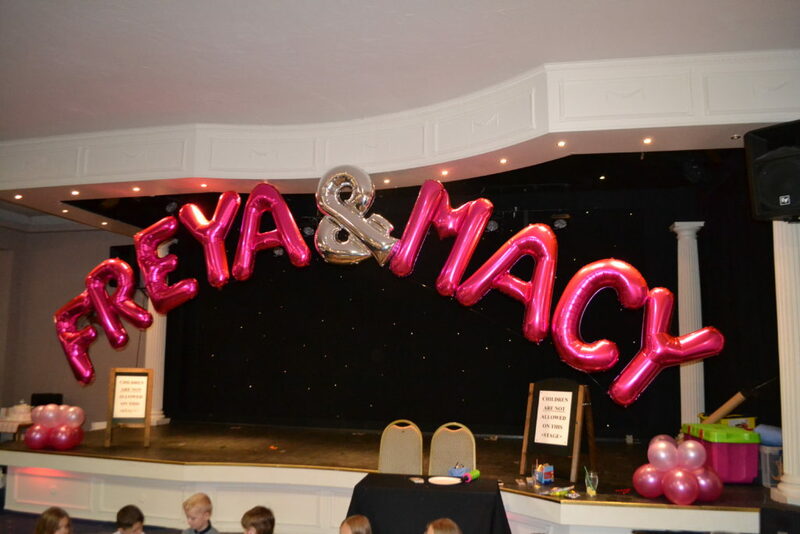 We also have lots of optional extras such as Foil Helium Balloons, Themed Party Accessories, Instagram Frames, Personalised Party Invites and much more! Our success rate is 100%. That means we’re never late, we’ve never missed a party, we’re never ill, our car never breaks down and our dog never eats our homework. We understand how important a special day can be to children. All of our entertainers are DBS checked and have had experience working with children. Faye and Aaron alone have 10 years combined experience entertaining little ones, and our staff are just as fantastic. Every party with Kidstar is insured up to A?10,000,000 worth of damage and we make sure everything is risk assessed. To give you peace of mind for your children’s event, we offer a money-back guarantee. If you’re not 100% happy with the service we’ve provided and you don’t believe the children were entertained, you can have your money back (we’ve never had to do that by the way). We’ve organised and helped with 100’s of children’s parties. We know it can be stressful but we’re here to help. If you need to speak about venues, bouncy castles or anything else, just give us a call. We love doing what we do and our prices reflect that. 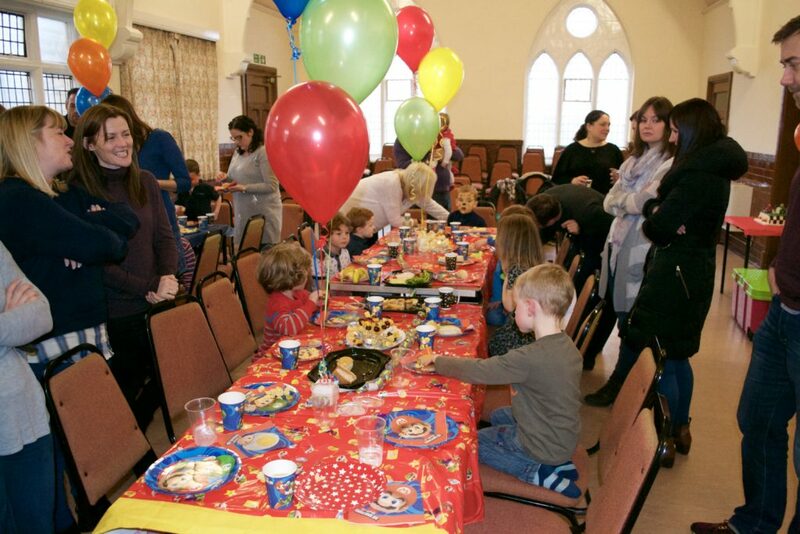 We are committed to giving you the best children’s party and we believe you get what you pay for. We also offer cost effective extras. Get in touch to find out more. We normally get back to you in a few minutes. However, we have lots of parties and events on during the day so it might take a little longer. We always give a service which caters for your specific needs. Nothing is too much to ask. No job is too small. “Excellent!Ai? ?My little boy’s 4th birthday, I was nervous as we’d always done soft play centre parties before but he’d requested face painting, pass the parcel, musical bumps and dancing.Ai? ?That’s what he got and so much more! Kidstar Parties were excellent, they played to the age range perfectly knowing to not lose the child’s interest by counting them out in games to generate a winner. Everyone was involved and engaged at all times. “The kids absolutely loved the party. Really professional set up and easy to contact and plan everything. Have no hesitation in booking this team…we’re going to book again for our youngest girl. Ordering your Helium and Foil Balloons from us makes your life so much easier. We turn up to the event with them and set them up. That way, they last longer and saves you having to go and buy them. Whether it’s Finding Dory, Iron Man, The Avengers or Frozen, we can provide themed Party Hats, Plates, Cups and Decorations. We have a huge range of accessories and we can bring them to the event or deliver them before hand. 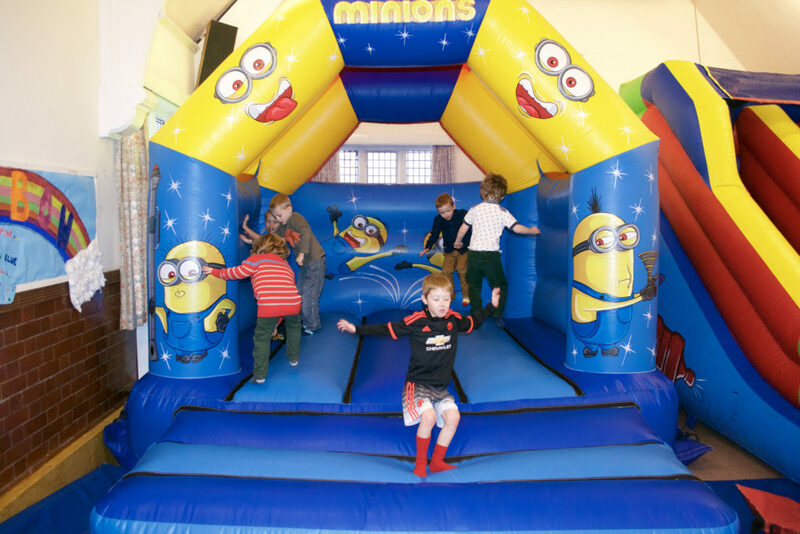 Everyone loves Bouncy Castles and we work with some of the best suppliers in the North West. Because we work with them a lot, we can often get a better rate. It also means it’s one less person to speak to. You can book it all with us!